As StrataCore’s Vice President of Cloud Strategy & Sourcing, Lee is responsible for developing, executing and evangelizing the Cloud, Security, and Partner practice areas of the company. He provides clients, partners and fellow employees with guidance on selection and implementation of cloud services on a global scale. Lee excels at developing relationships with providers, partners, and key industry leaders to drive StrataCore’s cloud strategy and mission. 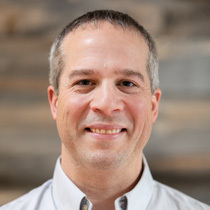 Prior to joining StrataCore, Lee was the Vice President of Sales and Marketing at Digital Fortress where he was instrumental in building a data center colocation, cloud and managed services company, guiding it to a successful exit, then merging and managing the post-acquisition sales organizations. Lee is on the board of Spark Northwest, an organization that promotes, enables and supports sustainable, alternative energy solutions at the community level. Lee received his BS in Chemical Engineering from the University of Washington.